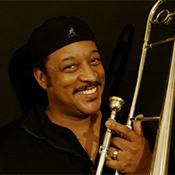 Meet professional trombonist, composer, conductor, and author Wendell Kelly, and hear how he went from a kid with a dream to working with Beyonce, Whitney Huston, Stevie Wonder, Justin Timberlake… and the list goes on! Plus, Wendell shares some unforgettable behind-the-scenes stories about being a part of “The Howie Mandel Show” band! And Wendell gives us a quick in-studio trombone performance as he writes a new theme song for Vic’s show – right on the spot! It’s impossible to spend an hour with Wendell over this episode, without leaving inspired and feeling better about the world we live in!